BEIJING — China is currently spending billions of dollars on infrastructure projects in Africa. Chinese investments in sub-Saharan Africa have increased significantly since the early 2000s and Ethiopia has been a major beneficiary. According to a Brookings Institution report, Chinese infrastructure investment in Ethiopia totaled $4.7 billion between 2009-2012. 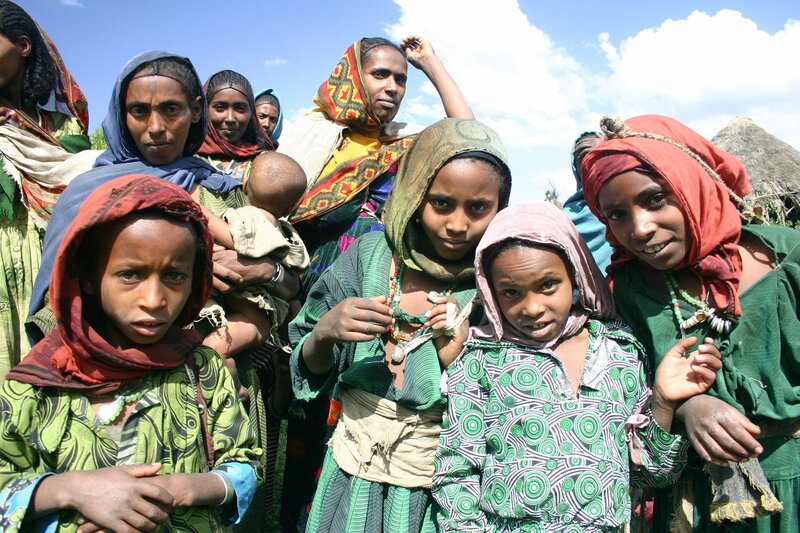 Ethiopia is the second-most populated country in Africa with a population of around 100 million. Between 2003 and 2015, the country experienced an average economic growth rate of 10.8 percent. In conjunction with robust economic growth, the percentage of Ethiopians living in extreme poverty — less than $1.90 per day — decreased from 55.3 percent in 2000 to 33.5 percent in 2011. In developing nations, infrastructure development is key to boosting economic growth. Improving road and rail transport helps increase productivity by opening access to new regions and facilitating the overall movement of goods and people. In January 2017, a $4 billion railway project was officially completed linking Ethiopia’s capital, Addis Ababa to the Port of Doraleh in Djibouti. The project was partially built and funded by Chinese companies with the assistance of the Chinese government. According to estimates from the SAIS China Africa Research Initiative at Johns Hopkins School of Advanced International Studies, China loaned Ethiopia $2.49 billion to build the new railway. The railway crosses 752 kilometers and cuts the travel time between Addis and the Port of Doraleh from three days to just 12 hours. The new railway will have a huge impact on the lives of Ethiopians. Ethiopia is a landlocked country, but the vast majority of African imports and exports are conducted by sea. The ports in Djibouti are therefore integral to the economy because they are used for 90 percent of Ethiopian trade. Reducing the travel time by two-thirds will therefore have a big impact on trade flow and in addition to slashing travel times, the new railway is expected to cut the cost of transporting freight by a third. The Ethiopian railway agency awarded contracts to Chinese firms such as the China Railway Group and China Civil Engineering Corp to build various sections of the Addis–Djibouti line. Chinese infrastructure investment in Ethiopia is a big opportunity for Chinese steel and construction industries. China has an overcapacity of steel and needs to find markets for its excess supply. China also has the technical expertise and companies available to assist in major overseas infrastructure projects. Chinese infrastructure investment in Ethiopia is not just limited to the Addis–Djibouti railway. In 2009, the Chinese helped build the Tekezé Arch Dam— Africa’s tallest—with the capacity to generate 300 MW of electricity. In 2015, Addis Ababa opened a metro rail system thanks to a $400 million loan from the Chinese government, benefiting millions of urban commuters. Chinese firms are also building more than two-thirds of the roads in Ethiopia including the prominent Addis Ababa Ring Road. The government of Ethiopia wants to elevate the country into lower-middle-income status by 2025. The second phase of the government’s Growth and Transformation Plan (GTP II) aims to increase investments in infrastructure and transform the country into a manufacturing hub. Ethiopia’s ambition to become a manufacturing powerhouse can only be realized if the country has the basic physical infrastructure to support such an economy. Chinese infrastructure investment in Ethiopia is helping to provide this need and laying the essential groundwork for success.